Even before Daniel Craig declared in 2015 that he’d rather slit his wrists with broken glass than play James Bond again, the internet has been trying to come up with other actors who could step into Bond’s fancy suits and gadgets once Craig moves on. Idris Elba has been the favorite for a long time, but Jason Statham, Gillian Anderson, Tom Hiddleston, Emilia Clarke, and Hugh Jackman have all expressed interest at some point. Earlier this month, though, Michael Fassbender humbly declared that he does not want to play James Bond, sending a shock through the entire James Bond rumor industry. Now, Eddie Redmayne has also taken himself out of the running, even though nobody in the world ever thought that Eddie Redmayne should play James Bond in the first place (the same goes for Hugh Jackman, by the way). 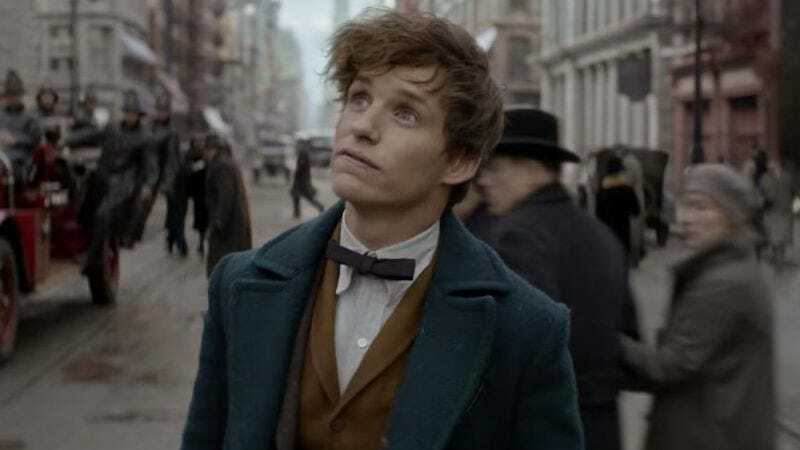 That comes from an interview Redmayne did with Variety, during which the Fantastic Beasts And Where To Find Them star said that he’d “hate” to see himself play Bond. He loves the movies, but he prefers “seeing really freaking cool actors” that he admires “doing great things” in the role, which means he apparently doesn’t think of himself as being really freaking cool. As for who Redmayne wouldn’t mind seeing, he offered up Tom Hardy as a possibility. Hopefully some entertainment reporter is getting ready to ask Hardy about James Bond as soon as possible.